Youtube is a online streaming website, which plays videos online without downloading them. Mostly people enjoy this website for watching online movies, t.v serials, cartoons, songs etc. You may heard stories from peoples about they are earning regularly from youtube. Earning thousand of dollars from youtube is not realistic, but you can earn a little with youtube more quickly if you have a good subscribers base on your youtube channel. Then you may convert your little earnings in thousand of dollars per month with time. It may takes up to 1 year also for freshers. What at all you need to be successful in this earning program, simply you just need basic skills of creating videos and then uploading them on youtube. It is not tough just you need to follow steps given below to start and you have to take patience after starting your work with youtube. In first step if you have not any google or Gmail Account then go through sign up link after opening www.youtube.com and then fill the sign up form. After sign up it gives you a gmail account and password of your choice. Then you this email and password to login or sign in www.youtube.com. If you already have any gmail account and password then leave this step of sign up, just simply sign in on youtube by using the same login id of gmail and password. After login go through My Videos Link and then it asks you to set up or create channel, when you proceed it it will ask you for channel name and other info, after filling the info about your channel, youtube creates your own channel and then after you will authorised to uploading videos on youtube. Go through this link to Upload Videos on Youtube, then it will ask you to select your file which you want to upload on youtube. Check Analytics of your channel, when it crossed over thousand views on your channel, then only move on next step, other wise stay on this step and give efforts on your channel to reach approx.1000 views. To reach on 1000 views quickly you may use keywords and tags in your videos. If you need this training from our blog then comment your email address, we will send you the basic tools and information for increasing views on your channel, and we will also provide solutions to your queries.. Step 5:Monetizing of Videos and Apply for Adsense and :. Next or you may say a very critical step in youtube earning programs is to apply for Adsense. Go to www.adsense.com and sign up with your details. But there is only 5% chances of getting approved from adsense. As in 90% situations it will ban you for lifetime. So you should take a great care for this step. With bad luck if you will be banned or not able to signup for adsense, then comment your queries we will provide you solutions and with 100% of surity you will your adsense account, with the help of our trainers. You will now check your earnings by going through Check Analytics of your channel, And after 1 month every 15th of next month your earnings will be added in www.adsense.com account as final earnings. 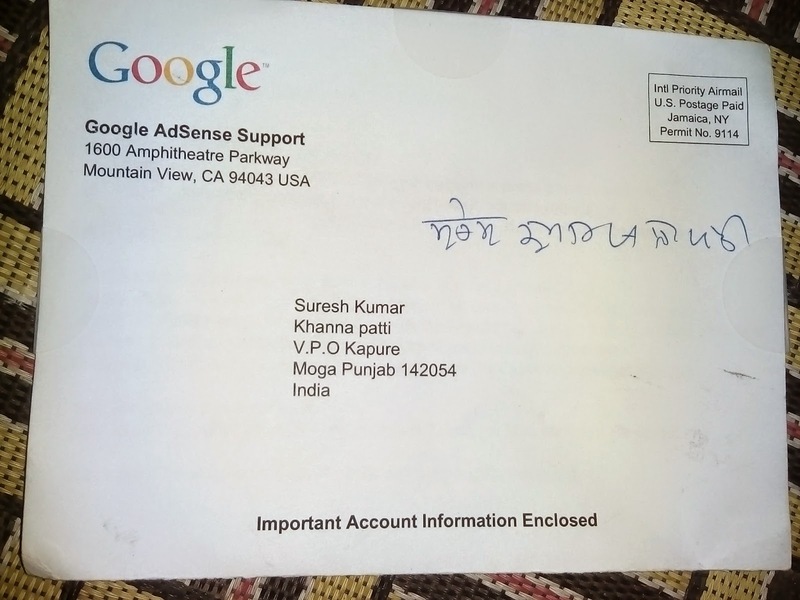 When your earnings will be reached at $10 in your adsense account Google Adsense will send you a verification PIN on your address to verify your address. When your earnings reached at $100 in adsense account then you can request for green color cheque from Adsense. And you will get your cheque within time frame of a week after the date of dispatching of your cheque. Now you can also get earnings in Bank by filling your bank details with SWIFT code in option of Payment method of Adsense account. 1. You can use free video editor software by downloading from internet. 2. Never upload any copyrighted videos or music on youtube, as it may block your account. 3. After monetizing videos, never watch your any of videos, nor click on the ads shown in your videos. 4. Never ask your friends to view or clicking on ads by forcing them or by offering them incentives for doing like so, it is illegal. 5. You can use music available on youtube as background tone for your clips. 6. Do not upload longer than 10 minute videos, as it may lose interest in your viewers. 7. Focus on the interest of your audiences and viewers. 8. Target on Increasing the subscriber base of your channel. 9. Upload regularly on your channel. 10. Always upload quality contents on your channel. Thanks, Suresh for sharing this information. Whether you have plans to start a youtube channel in future? I already have two youtube channels, but never share that channels publicly. how much YouTube pays for 1000 views ? ?